This is a simple, stylized illustration of a toucan species. Just a few bold lines make the unmistakeable impression of a tropical bird with a stout body and a massive beak. 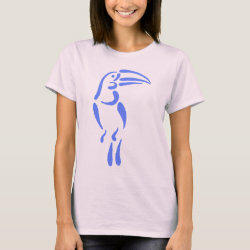 This makes a perfect and original gift idea for anyone that loves toucans!